First and MSc degrees in Electrical Engineering at the Technion. 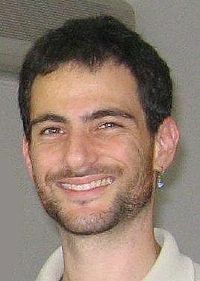 Participated in the Technion Excellence Program: 2000 – 2003. Lihu studied advanced courses related to his research at the time, concerning quantum computational chemistry making the curriculum multi-disciplinary. He participated in a research project: “Quantum Computational Chemistry” under the guidance of Prof. Uri Peskin from the Chemistry faculty. Although it started as a summer project, it gradually became more serious, and in the next two years he worked with Uri on several subjects in parallel to his studies in Electrical Engineering. One of the subjects they worked on, which also became the basis of several journal papers, concerns a fast method of computing the probability that a particle (say, an electron) will penetrate through a double-barrier potential. They measured some property of this particle at TWO points instead of ONE (before and after the barrier). Averaging these two inputs (which are functions of time), they were able to eliminate the transient part and get the final result almost instantaneously, thus reducing significantly the run-time (up to several orders of magnitude in some cases). Lihu Berman and Uri Peskin, “Short-time calculations of resonant tunneling probabilities by the flux averaging method”, Chemical Physics Letters, vol. 360, pp. 374-381 July 2002. Your first semester: You need to get familiar with the academic system in general, and with the Technion in particular. In addition, you need to excel in the courses. Therefore, take ~20 points (even if your advisor is certain that 26 points would still be a piece of cake for you). Your second and third years: Taste and try everything you think may be of interest for you, either formally or informally. Use the summers to work with people who do stuff you find fascinating. Your last year: By now you should know whether you like the academic system or not. If you do, then this would be a good time to start converging towards your research topic for higher degrees. If you don’t, try to contact some of the program’s alumni in the industry and see where it gets you. Every once in a while, ask yourself why are you here, what are your goals, and whether the path you are taking is consistent with your goals. Today (2012): Founder and CEO of Algowiz company, where they research the various financial markets in order to develop and implement efficient trading algorithms, managing their own capital as well as other people money.